Are you looking to accept credit cards at your salon or barber shop – or searching for a better rate? We’re glad you’ve found us! You’ll soon be glad too. The Transaction Group (TTG) provides credit card processing solutions for hair salons at the lowest rates in the industry. Since we launched in 2004, we’ve helped many barber shops, beauty salons and spas throughout the US establish merchant account services. With our fast and easy application and approval process, we can get you set up and processing in as few as 2 days. Having a credit card processing solution at your hair salon will not only provide an added service and convenience to your customers, but can also generate repeat business from them. Tracking your customers’ purchases is made easy, and you’ll have the ability to issue loyalty cards or gift cards with specific dollar amounts on each card. In addition, a merchant account will also simplify your accounting practices and make your business run more efficiently and cost effectively. In some cases, your stylists and barbers require their own credit card processing accounts. If your beauty salon or barber shoppe operates in this manner, we can help set up each stylist or barber with their own merchant account. Only one terminal or POS system is usually required to operate multiple merchant accounts. Smartphone credit card processing is an option for stylists that prefer to handle their own transactions. This solution will allow a stylist or barber the ability to swipe cards through a reader attached to their iPhone, Droid, or other compatible phone. A smart phone merchant account is ideal for stylists that regularly work fashion events or onsite gigs like weddings. 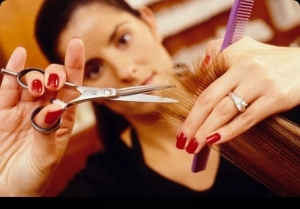 Our merchant accounts are compatible with most hair salon POS systems such as Shortcuts. If you have existing equipment, we will reprogram it at no cost. Do you already have a card payment processing solution at your salon? Allow us to see if we can save you money on your current rates and fees. To take advantage of our FREE RATE ANALYSIS, send a recent statement to sales@thetransactiongroup.net or fax it to 312-895-5628. We will get back to you in 1 business day with our detailed analysis. To sign up today, click ‘Apply Now’. If you need more information or prefer to speak with someone directly, call us today! We look forward to working with you.